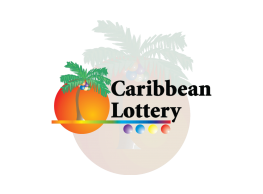 Caribbean Lottery is pleased to announce that the Super Lotto Jackpot for Friday, June 16, 2017 in the amount of EC $6,530,000, was won by two players, one of whom is an Anguillan. 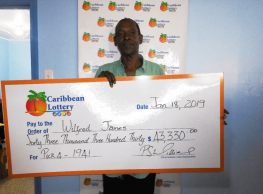 The lucky Anguillan winner, Keith Brooks won a share of the jackpot amounting to EC$4,080,000 with a $6 ticket. 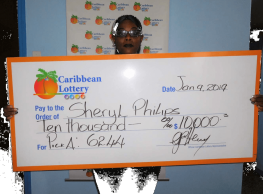 The other winner, from Jamaica, purchased a split price ticket and won US$909,921 or EC $2,456,789. Both players purchased the winning numbers: 06, 09, 11, 16, 19 and Super Ball 04. 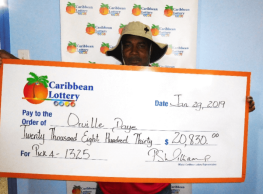 An elated Keith, shared that he has been playing Super Lotto since the game’s introduction in Anguilla. “In every draw I would play those five numbers and match them with the Super Lotto ball from 1 to 10. I only had five favorite numbers, and winning the Super Lotto jackpot requires six - so I decided to buy my five favorite numbers and purchased all the Super Lotto balls from 1 to 10.” Keith added. Keith goes on to recount that his day seemed to be going even further downhill after accidentally hitting another vehicle in his friend’s driveway. “I went to bed that night praying to God. And yes, I admit - I included the Super Lotto jackpot in my prayers. In the morning I got up, went onto my back porch and thanked God for waking me up and for his blessings in protecting and keeping me. Things could have been worse. I started my daily chores, as usual. It was just another day… or so I thought!” Keith added. Keith recounts in vivid details the events leading up to the moment he recognised that he had become a Super Lotto Millionaire. In the end, he took the results and my tickets from me and looked at them closely. “Yes, you’ve won!” he concluded. 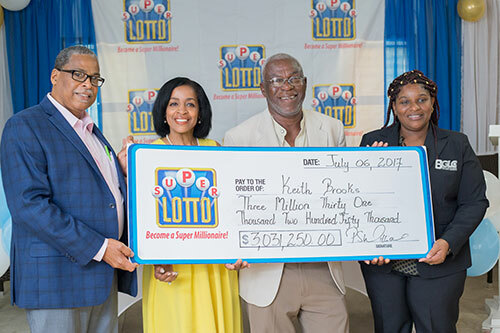 Keith joins a rich history for Caribbean Lottery, having joined a long list of Super Lotto winners. Super Lotto has generated over $2.4 million in prizes for over 86,900 winners so far this year. This in line with the Company’s ‘Customer First’ approach to gaming, operating with the highest levels of integrity, transparency, responsibility and service.